It all started with a red and white tablecloth that I found in the clearance aisle at Home Goods for $5.00! 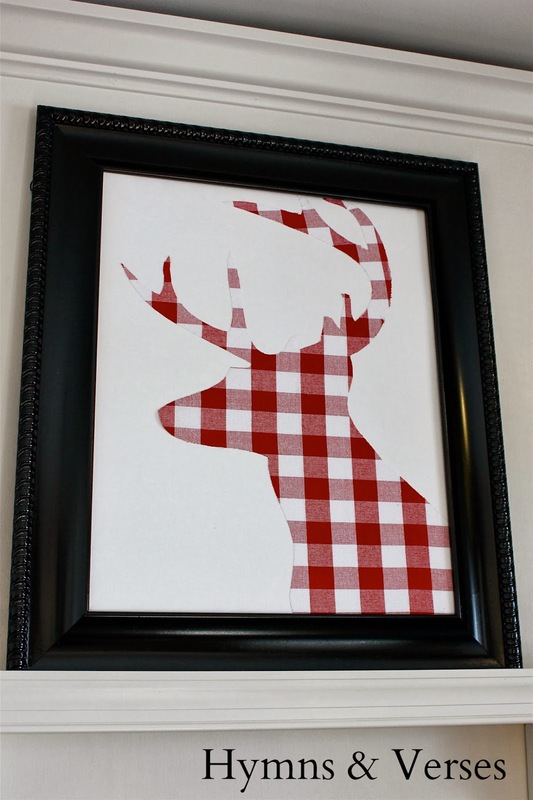 I had been searching the local fabric stores for the perfect red and white buffalo check with no success and then on a random stop to Home Goods – there it was! Sometimes you just need to think outside the box when you are looking for a fabric. In the past, I’ve used sheets to make curtains, napkins to make pillow covers, and drop cloth to make a slip cover for a chair. 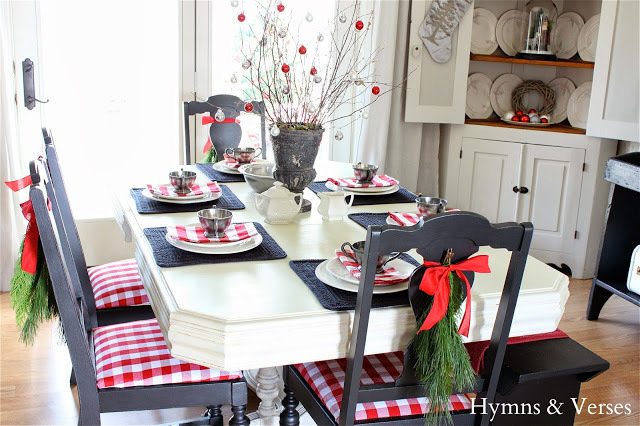 This tablecloth was just what I was looking for to cover the seats of my dining room chairs. And, of course, I grabbed the matching napkins to use for my place settings. Once the chairs were recovered, I had some fabric left over and decided it should not go to waste! 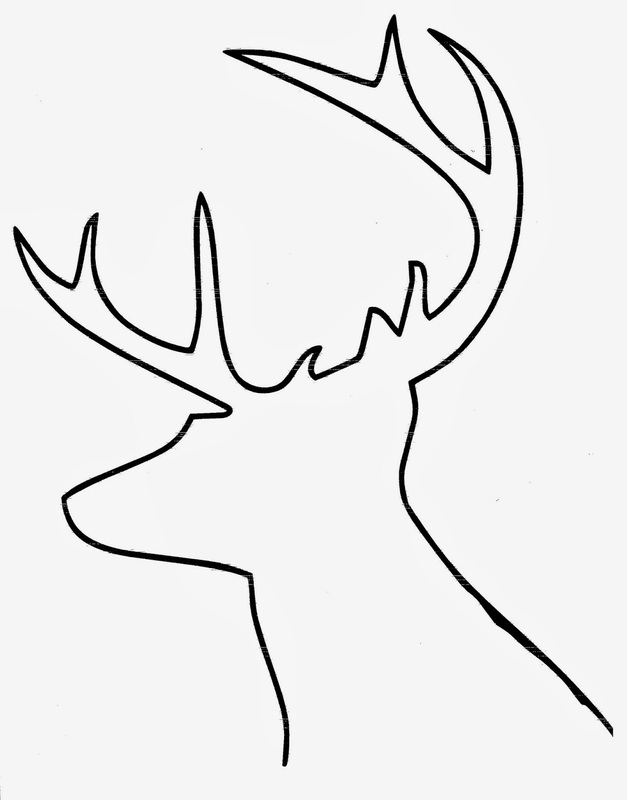 I had been seeing some amazing stag head art all over the internet. 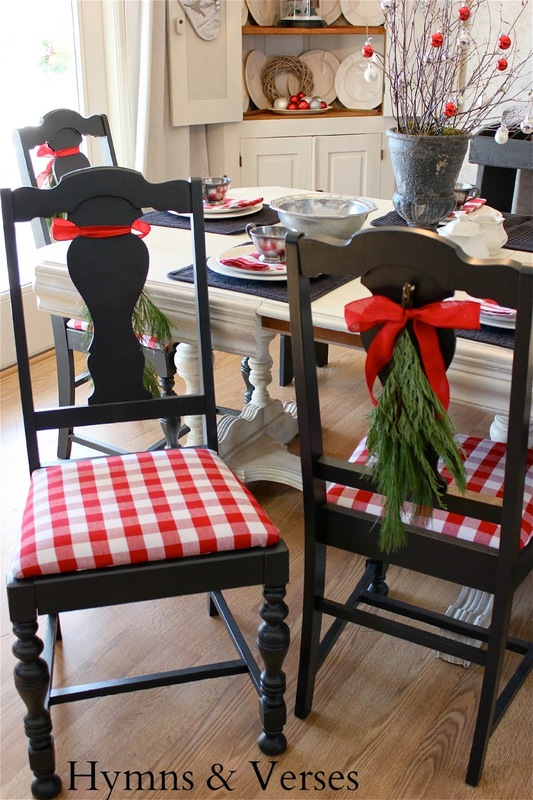 Many have been DIY projects by some of my favorite bloggers. So, I decided it was time that I make my own – with the remains of the $5 tablecloth! Since my Holiday Home Tour, I’ve received so many requests to share how I made this, that I thought I would show you just how easy it was and that you can make one for your home! 1. Follow the instructions on the package of Heat and Bond and apply to the reverse side of your fabric. This will give you a clean edge when you cut out your design and help prevent fraying. 2. Once your template is enlarged to the size you need, cut it out and trace the design onto your fabric. Cut out. 3. Spray the reverse side (the side with the Heat and Bond) with spray adhesive and carefully place onto your canvas. Press and make sure you don’t have any air bubbles or wrinkles. 4. Place your art in the frame and hang it! I hope you will give this a try. It really is an easy project, but gives a lot of impact. 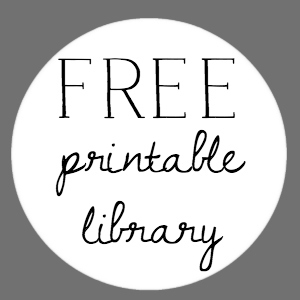 Of course, you could just use the template the size it is and make it as an 8″ x 10″. That would be even easier! We have another weekend snowstorm heading our way, so I’m off today to try to get some Christmas shopping done and stock up with some holiday movies and food for a few days! It’s nice to be snowed in once in a while – especially this time of year! It forces us to slow down and enjoy our family and be thankful for a warm home! Oh my gosh…I love your deer!! I painted a deer and like it, but yours is fabulous…so pretty! Thanks for sharing the details Doreen. 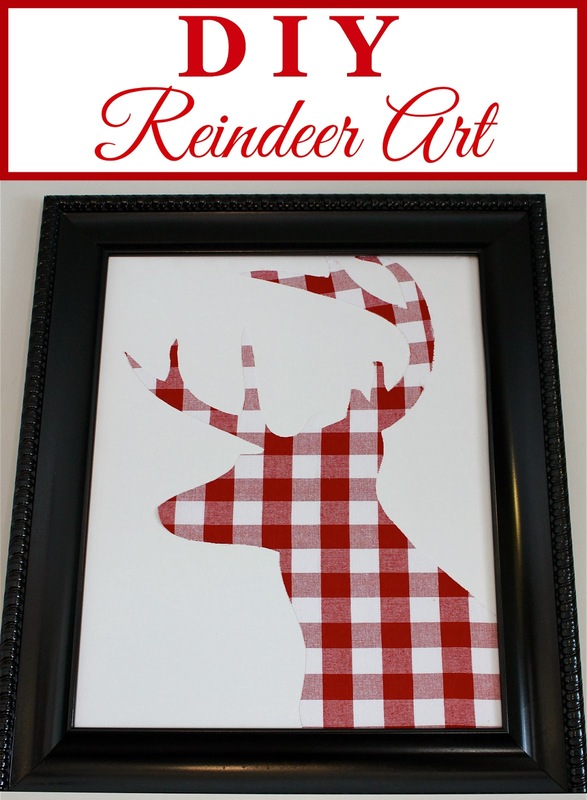 I just love the red check and your beautiful reindeer art project! … I went for groceries this morning (along with everyone else) and now I'm prepared for a day of baking tomorrow – let it snow, let it snow, let it snow!!! Doreen, Thanks for the tutorial. I love love love your stag head! Very clever girl!!!! I have been waiting for this tutorial! It was one my favorite thing in your kitchen! I love it! So cute! 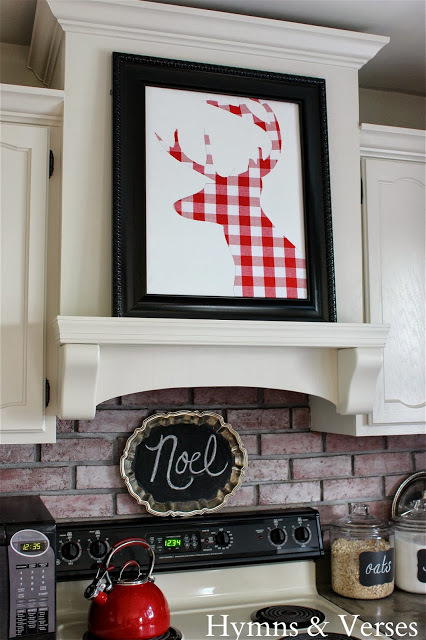 I love him displayed in your kitchen, too! So, I think you should just send this over my way. I'll give you my address…. ;) I LOVE it Doreen! Seriously cute! This is amazing! 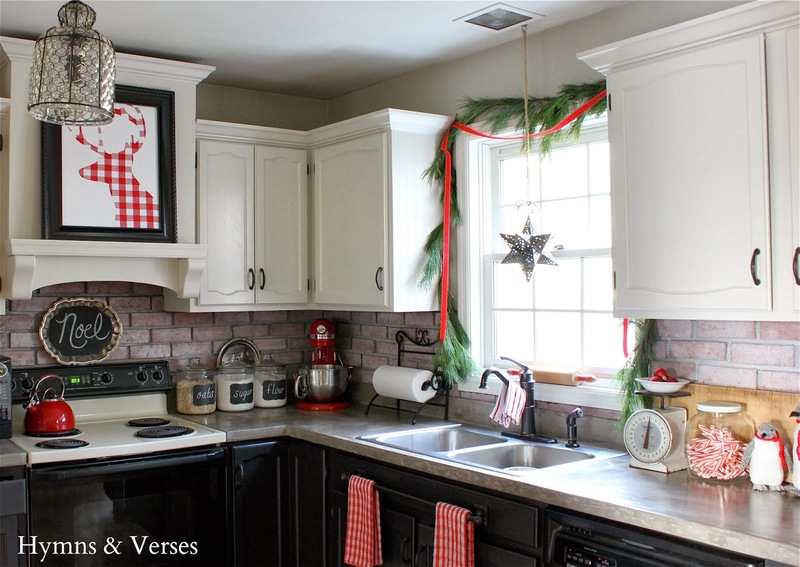 I love the red and white, and have a lot of it myself this year in our kitchen. Oh my gosh! I love this!! I am a red and white check lover, so how could I not? Your chairs look gorgeous also. I always check the clearance at Home Goods and T.J. Maxx. Good goods can be found! You got a lot of bang for your buck! Just found your blog and I'm sure I will visit often. 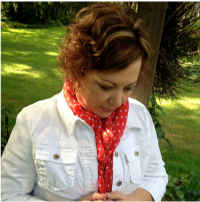 Thanks for the tutorial….Love the fabric! And you know I LOVE it!! I love the way your repurposed the tablecloth! I have shopped in the sheet aisle for fabric also, sometimes a much better buy than by the yard. Your home looks so lovely! This is one of THE best deer silhouette projects I've seen, it'a absolutely adorable, love that huge check for Christmas!! So cute! Thanks for sharing the tutorial. 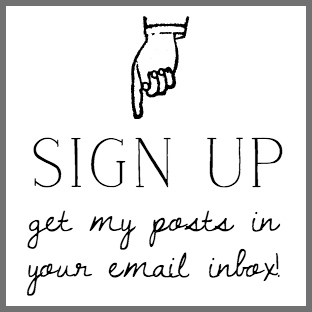 I just found your blog this morning via pinterest and love your home. We just moved and have an endless list of home updates. But your kitchen appears to be the same layout as mine. Nice to see the possibility! Looking forward to viewing all your posts.